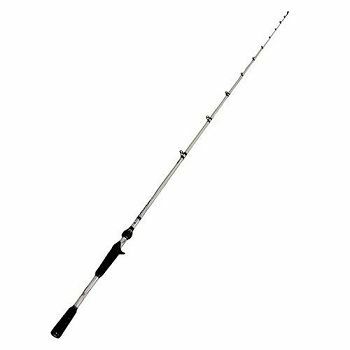 Abu Garcia Medium Veritas Casting Rod is 7' long and makes jigging easier and does not bump the forearm. The rod can be put to many applications ranging from jigging to baitcasting. It is less stiff, is lightweight and comes in top quality. 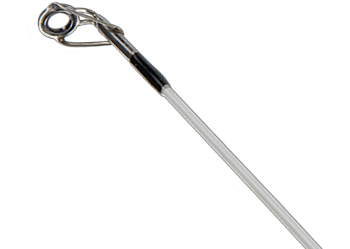 The rod is sensitive and comes with a ring that secures the reel onto the rod. The rod is relatively stiff and is of high quality. It features the qualities that anglers look for in a rod. It is lightweight, sensitive and durable. Also, this rod is cheaper than other rods in its category. The Abu Garcia Medium Veritas Casting Rod is a well-balanced lightweight rod. It comes with components engineered for professional anglers. The rod comes with titanium alloy micro guides, a graphite blank, and high-density EVA. It is sensitive and is constructed using the new Nano Technology. The compression strength is perfect despite the reduced weight. The guides come with SiC Inserts and is durable. The proprietary Reel seat gives the reel increased contact with the blank, a thing that increases the rod's sensitivity. The super dense EVA grips make it balanced and deliver unparalleled performance. No wonder that the rod is preferred by anglers who engage in competitive bass fishing. It is a 1 piece solid blank with titanium alloy which increases the rod's sensitivity and balance. Also, the rod has Texas rigged hook keeper and comes with a limited 3-year warranty. 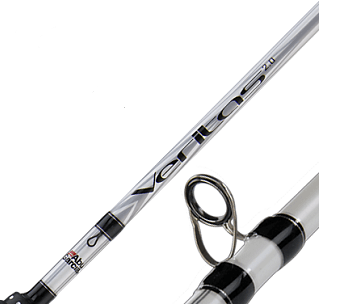 Abu Garcia Medium Veritas Casting Rod is a medium power rod. This means that it was designed to fight both medium-sized and large fish. 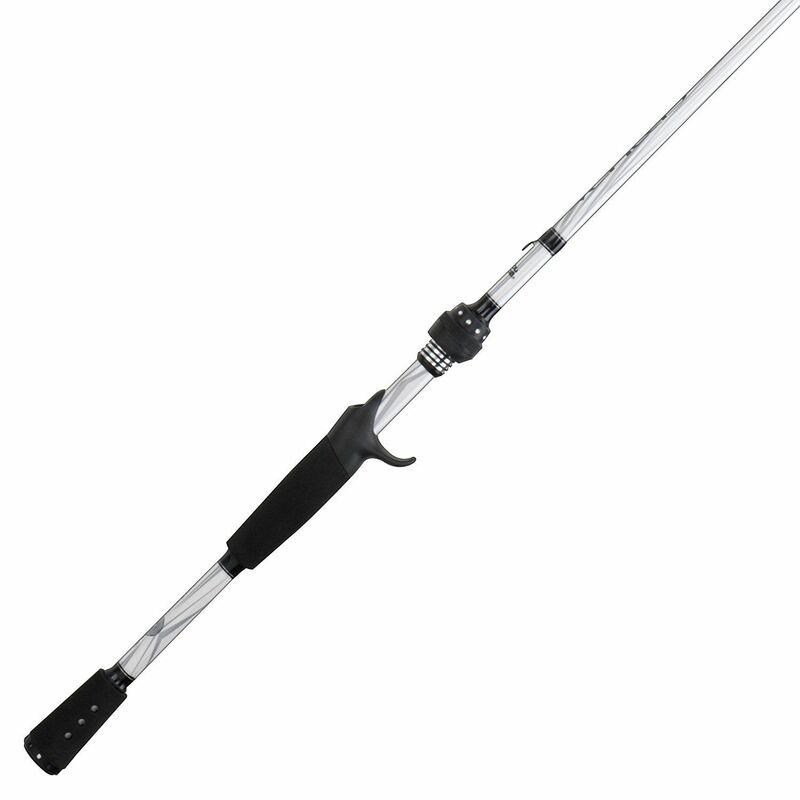 The rod can comfortably handle a line weight of 4-12 lbs. and a lure weight of 1/8-3/8 oz. The rod has the strength that makes it a moderate fast action rod that distributes the deflection back in the rod's blank towards the handle. It lets the bait to work freely even though the fisherman can choose whether to control it firmly or not. It also allows the angler to choose among the many presentation techniques available. Abu Garcia Medium Veritas Casting Rod will bend in the upper ½ part when pressure is applied to the tip. This is critical because it allows the angler to target both small and large fish. It also allows an angler good control and gives them an allowance to set the hooks. In fact, this property makes the fish suitable for a wide range of situations and can be used to target a wide range of species. It offers more casting distance and provides adequate hook setting power that makes it ideal for anglers targeting relatively big fish. The Abu Garcia Medium Veritas Casting Rod is a 7" rod that balances well in the angler's hands and has increased sensitivity. It has its balance point in the middle of the rod. This makes it an ideal rod for anglers who want further casting when targeting the big fish. The rod has been battle tested and has its neutral fulcrum in the middle of the rod. The high-density EVA, titanium alloy micro guides are all designed to enhance the rod's balance. Abu Garcia Medium Veritas Casting Rod has a blank made of graphite, which influences the rods responsiveness. It makes the rod to flex well when under a load and release the energy in the cast. This is why it is an ideal rod for anglers looking for rods that cast further. Also, graphite is extremely sensitive and allows the rod to transmit the feelings to the angler enabling him to set the hook on time. The angler is also better placed to feel the lure when it moves in the water. Unfortunately, graphite is brittle and must be handled with care to avoid breaking. If you are a full-time angler, you need a rod that is sturdy, sensitive and capable of helping you win most of the wars against large and small predators. The rod should give good service whether you are throwing it to sharks or when using it on crankbaits. Abu Garcia Medium Veritas Casting Rod was designed for this purpose. It is sensitive, well balanced and has a great spin that allows the angler to set the hook with ease.